Fun fact: this is the 2nd year in a row that Joseph Jewell’s Zinfandel from Grist Vineyard has been named one of the ‘Year’s Best Zinfandels’ by Wine&Spirits Magazine. 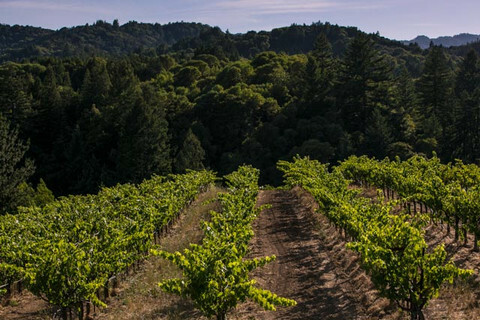 In fact, their 2012 vintage was a Top-100 Wine, and the highest rated Zinfandel on the list! This zin pairs well with anything you throw on the grill, making now the perfect time to stock up. Only a few hundred cases were produced, so be sure to grab a few before they sell out. Don’t forget that shipping is only a penny when you order 3 bottles! This wine pairs particularly well with these two recipes, and is also an excellent match for barbecue, grilling and pork tenderloin. Is your mouth watering, too? 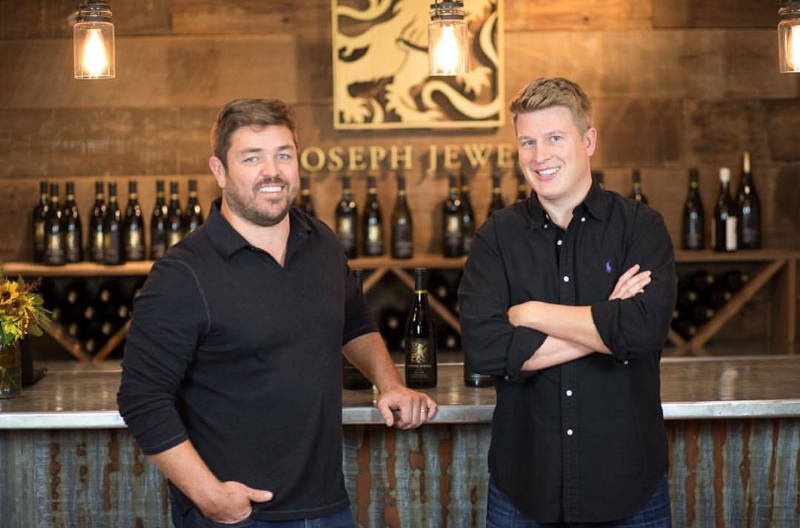 Micah (right) is the fourth generation in a family of wine pioneers who started helping his winemaker father at work at the age of eight. He studied enology at UC Davis and was Cellar Master during his seven-year stint at Garry Farrell. Adrian (left) grew up in northern California and also took enology and viticulture courses at UC Davis. The two meet while working at different vineyards in 2007, and decided to forge a partnership that has grown into a world-class wine production. They are both serious about their wine (I was a bit nervous the first time I tasted with them in their winery) but are fun loving guys who care about quality above everything else. I even convinced Adrian to talk about the 2011 vintage on camera, which you can check out on the website. We hope you enjoy their handcrafted wines as much as we do – cheers!